Beauty moves the heart like nothing else. Beautiful things have a magical power over us; they enchant us and evoke awe in us. They move us to wonder at reality. In my last post, I discussed how beautiful works of art make us yearn for Beauty itself. In this post, I want to examine a popular saying about beauty. An often heard phrase on beauty, perhaps the most often heard, is the saying "beauty is in the eye of the beholder." What is the meaning of this phrase? Usually, one who uses this phrase means to say that what counts as beautiful depends upon who is looking. Considering a specific piece of art, some people will think it is beautiful and others will not. It depends on the tastes of the observer. But there is another meaning that this phrase may carry. Whenever some observer recognizes that an object is beautiful, they must perceive it to be so. The beauty has to pass through their eye, so to speak. The beauty is "in" their eye at that moment. In any aesthetic experience, that is, in any experience of the beautiful, you need a subject and an object. You need a beautiful object and a subject who is able to experience the object. However, this does not mean that beauty is completely reducible to the subject. If the beauty of your favorite music were based on nothing more than your fanciful thinking, it would empty all meaning out of the experience. The experience of beauty would then be likened to an illusion or a hallucination. To invest this meaning in the object would be to ignore and avoid the object as it is in reality. On the contrary, beauty is able to hold such a powerful sway over us because this beauty is, first of all, in the object. An object of great beauty asserts itself in our experience as beautiful. It demands a response from us. Da Vinci’s Mona Lisa is a work of such exceeding beauty that millions of people over hundreds of years have recognized its majesty. To dismiss such a work as utterly worthless would be to do it an injustice. The work itself has beauty. If you disagree, you have not yet truly perceived its beauty. Still, because a subject is required for an aesthetic experience to take place, the state of the observer is very important. What does it take for a painting like Van Gogh’s Starry Night to be appreciated by an onlooker? 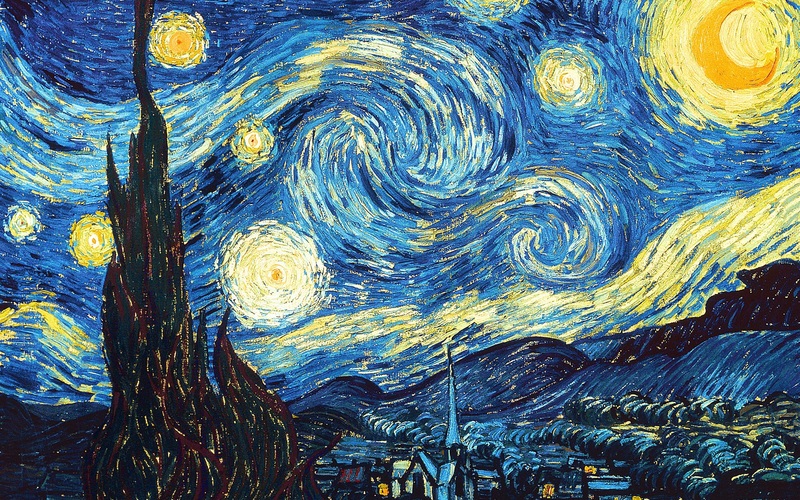 If one is unfamiliar with post-impressionist paintings, Starry Night might strike one as somewhat strange and unreal. Yet there is a captivating beauty revealed to the one who is patient enough to grow accustomed to this style. For a variety of reasons, if a subject is not prepared and able, then he may fail to see the beauty of this object. It may be his unfamiliarity with the style, his overfamiliarity with this kind of work, or his inability to see the work clearly. The aesthetic experience is full of light and meaning and yet we tend to disagree about beauty. Why is this? It is because the aesthetic experience is an encounter of a subject and an object. Some will recognize a beautiful thing and others will not. The beholder, once he has received the splendor of beauty, ought to rejoice in this encounter. Beauty cannot be reduced to mere opinion but it does have a rich subjective dimension. Beauty is in the thing but it is also in the eye of the beholder.